The Tara Memorial Stone, a simplistic yet very fitting reminder of those treasured times. 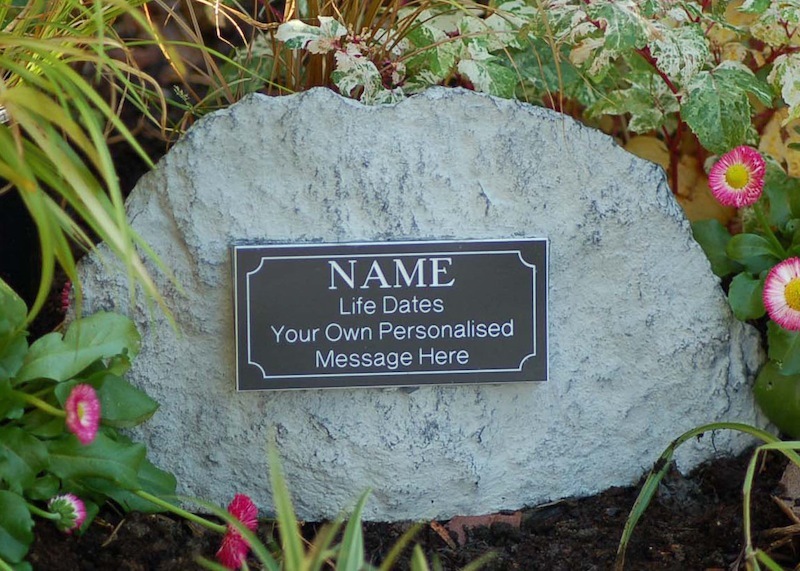 This pet memorial stone will blend into any garden setting, having a natural slate effect finish. Hand crafted in here in our own studios by a dedicated team of skilled craftsmen, this pet memorial will withstand extreme weather conditions, requiring no maintenance. The personalised plate is made from a robust attractive weather proof laminate and is available in black or silver. The plate measures 13cm (w) x 6cm (h). Allowing space for pet’s name, life dates and a simple message.